Hipsters love their pie, y’all. 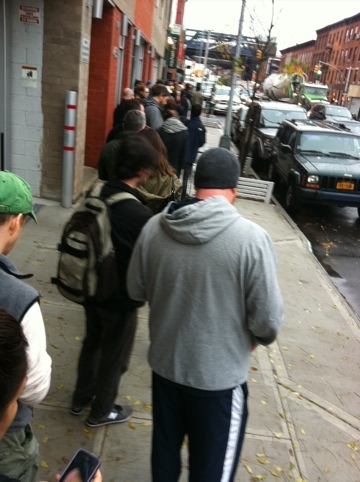 This is the line (which I am on) outside Four & Twenty Blackbirds this morning. Mama’s gotta get her bittersweet-chocolate pecan pie, knowhamsayin’? So gobble gobble, kids. Happy and healthy to all.